Fall is my favorite time of year. The change in the air. The change in the daylight. And the shift in the seasonality of food. All of it coming together to create the warm, cozy, hearty feelings and tastes that kick start autumn. And cumin is one of my favorite spices and when you pair it with a sweet starch like squash and then turn up the heat with chili oil it takes the flavors to a whole new level. Prepare the squash and place in a large bowl. Toss with oils, salt, pepper and cinnamon cumin. 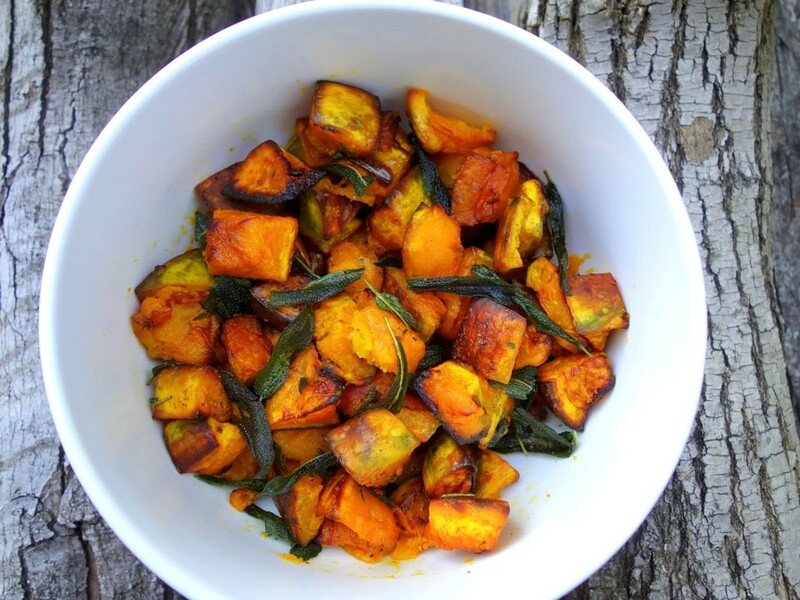 Spread out on a cookie sheet and roast until the squash is fork tender and caramelized (about 30 min). Sprinkle with fresh cilantro or mint.